Budding NZ medicinal marijuana start-up, Greenfern, has already received interest from institutional investors both here and in Australia as its first crowd-funding round draws to a close, according to one of the firm’s directors, Dan Casey. Casey said large investors including funds, wealthy individuals and an Australian crowd-funding outfit were sounding out Greenfern for further capital-raising potential. “We will look at institutional investors once the crowd-funding closes,” he said. The crowd-funding effort on the Collinson platform closed off last week after raising almost $1.2 million (well above the $500,000 minimum) putting Greenfern on track for a product launch some time next year. Greenfern, the latest in a string of NZ companies into the as-yet theoretical medicinal marijuana market including Hikurangi (also initially crowd-funded) and the privately-backed Helius, is hoping for a home-grown hit to mirror the success of similar projects offshore – notably in Canada and the US. Over 50 cannabis-related firms are listed globally, mostly on North American markets where drug liberalisation policies across the continent ranging from full legalisation to medicinal-use exemptions have sparked growth. However, the rapid expansion of the marijuana sector has also presented a dilemma for fund managers trying to square responsible investment strategies with exposure to what is still – in many jurisdictions including NZ – illegal drug manufacturing. For example, in September 2017 the NZ Superannuation Fund (NZS) issued a new exclusion policy banning exposure to all companies involved in recreational cannabis cultivation and manufacture. The NZS policy also excludes firms involved in cannabis products designed for “medical, scientific or industrial purposes without appropriate licence or authorisation”. Many other local fund managers use the NZS exclusions as a baseline responsible investment policy. Last year, for example, Pie Funds updated its exclusion list to include stocks linked to “recreational cannabis production”. It is understood a number of other NZ managers are debating the merits of marijuana exclusions as returns from the global industry have swirled higher. But the NZ regulatory backdrop for marijuana is changing fast. In December last year government passed the Misuse of Drugs (Medicinal Cannabis) Amendment Bill that will open up the market for local producers. New Zealanders will also get to vote in a binding referendum at the 2020 general election to legalise personal use of cannabis. While Greenfern has its eyes initially on the medicinal market, Casey said the company would tap into the recreational use business if the referendum passed. “The referendum could change everything,” he said. 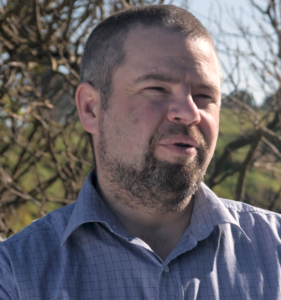 In the interim, Greenfern was gearing up to build a manufacturing centre with the crowd-fund proceeds on an already-secured site in Normanby, Taranaki. The Normanby site – majority-owned by another Greenfern director, Tim Johnson – also features a hydro-power station. Casey said the hydro-power angle would position the company as a “sustainable” producer. He said the company also planned to use cutting-edge technologies like blockchain – to track products through the supply chain – and the ‘internet of things’ to streamline plant production. At some point, Casey said, the company would appoint a full-time chief – currently all Greenfern directors hold down day jobs elsewhere – but “we need sustainable finances before we do that”. The Greenfern information memorandum includes net profit projections of over $440,000 for the 2020 fiscal year rising to almost $1 million after two years. How fast the company can scale up to meet, or beat, those forecasts, though, will depend on further investment as well as Greenfern jumping a number of logistic and regulatory hurdles. Casey, however, is optimistic that NZ companies are well-placed join the global “greenrush”.